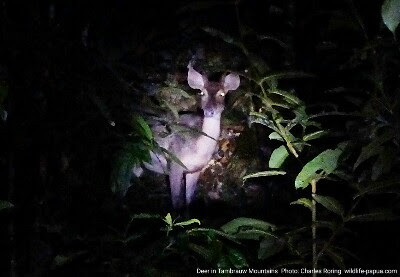 When I was guiding two American tourists in Tambrauw mountains, I organized several night walk tours along the banks of Ases river to find nocturnal animals. 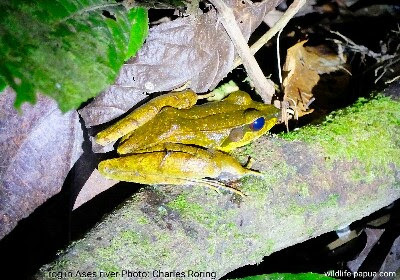 During the trip, we saw some interesting animals such as frogs, deers, gliding squirrel, cuscus possum, and fruit bats. There was a tree at the corner of Ases village that was bearing a lot of fruit. 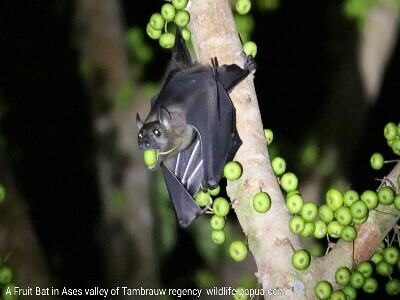 That night, before leaving for the river, we walked to the tree to see if fruit bats were still gathering on its branches. 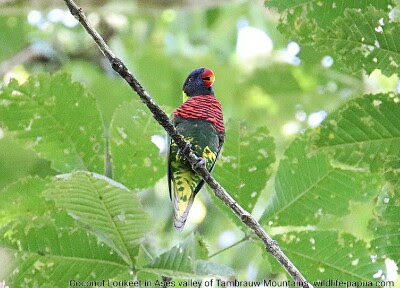 When we arrived, we could hear the sounds of their wingbeats. It was dark and it would be difficult for us to take pictures of the bats. Everyone of us had a torch or flashlight. So, we aimed our torches to the tree and there the fruit bats were hanging on the branches eating fruits. I immediately aimed my camera at the bats and took some pictures. We only stayed for a few minutes under the tree. After that we continued our night walk tour in the jungle to see other animals following a tributary river. As we were walking through it, we saw frogs on the stone, on the buttress and on the fallen trees. We carefully approach them one by one. I did not want to disturb the frog so I used the zoom feature of my Fujifilm XQ2 camera. I made some photographs of them. We continued our exploration of the river forest area that night. We saw a lot of fish. There were two places in the forest where animals come out to drink water. Local people called them Vim. So, we walked to those places. At the first site, we did not see the animals that we were looking for. The other Vim was separated by the first one by a ridge. We climbed the ridge and then slowly walked to it. We saw a young deer. He did not run away. I took out my pocket camera and shot the deer several times. Its zoom was only 4x, not powerful enough to make pictures with greater details. However, I was happy with the results. We also saw cuscus possum and gliding squirrel in high trees. Again, my pocket camera was not able to reach them well. The two American tourists who participated in the night walk tour was happy with what they saw. We returned to the village at around 01.00. 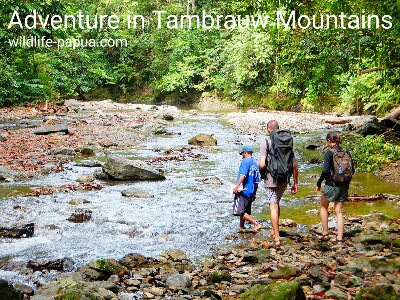 If you are interested in taking a rainforest tour in Tambrauw, please, contact me by email to: peace4wp@gmail.com or whatsapp to: +6281332245180.